This category of recommendations is for teachers, parents, and all others who are interested in education. As cannabis legalization approaches here in Canada and is already legalized in some states, parents (and teachers?) may find these resources helpful. From the site: “Cannabis—legal or otherwise—is a hot topic. Parents who provide their kids with balanced information about the effects associated with cannabis (often called marijuana) can help them make informed decisions. It’s more important than ever for parents to protect their kids’ health and development by addressing this issue early and often.” Download your talk-kit here. This entry was posted in All Grades, Professional and tagged #Cannabis, #Drugs on June 21, 2017 by admin. I ran across this blog post from Alabama principal, Dr. Danny Steele. I thought it was a good end-of-June read as we look forward to summer. This entry was posted in Professional and tagged #GreatKids on June 16, 2017 by admin. You’ll see some familiar sites rated here and then you’ll notice that there are many that haven’t been rated yet. This is because they don’t yet have enough data to apply a fair rating. Find out how you can help contribute your input on the site. This entry was posted in All Grades, Professional on June 7, 2017 by admin. 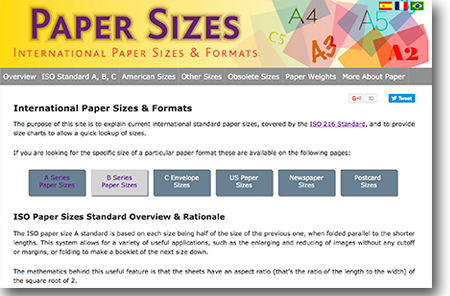 Have you ever wondered about all the choices of paper sizes when printing or setting up a new document? Here’s a great site that tells you all about A4 versus Letter and any other combination you can think of. This entry was posted in All Grades, CTS, Professional and tagged #CTS, paper, printing on May 16, 2017 by admin. Malala became an honorary citizen of my country today. She is very well known among my students for her story and messages of freedom, equality and opportunity for young people. Her strength of character as a role model is admirable. There are many resources available online to facilitate discussion about children’s rights to education and well-being and there is a Hulu-streamed documentary about Malala if you have access to that. To get started you might have a look at this Time Magazine timeline about Malala’s journey. This entry was posted in All Grades, Professional and tagged #EducationRights, #Malala on April 12, 2017 by admin.